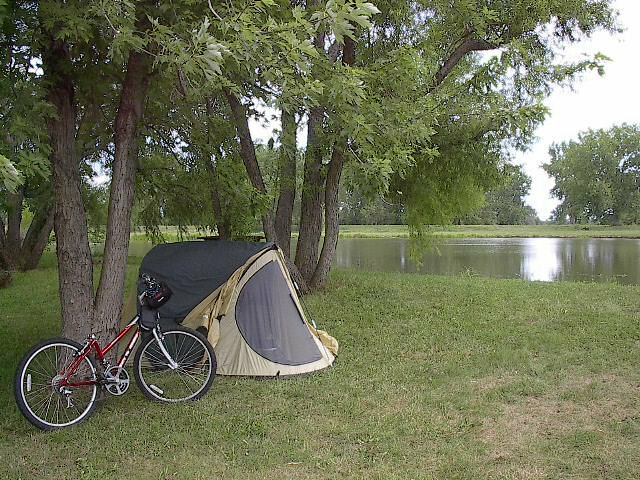 Cherakee Lake Campground was more of a trailer park than a campground. I felt a little uncomforable there. I was the only "tenter" there. Couldn't swim in the pond, but they had a pool. In there evening, and all through the night, there were some kind of loud "crickets" or some kind of insect that I had never heard before. Really, really loud. Never heard such a loud bug like that in New England. It was interesting though.